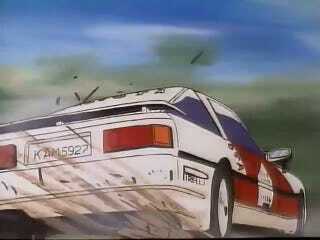 Apparently, there was an anime about rally racing released in 1991. I stumbled upon it while doing some mindless Youtube surfing. All of the sudden, I am watching hand drawn Ford Sierras and Lancia Integrales race across the screen. The name of the anime? Goddamn. Thats it, just Goddamn. Could not make this up if I tried. I would not watch this for the plot. But the cars in it will surprise you. And for being hand drawn, the cars are pretty detailed. Was anyone else aware this existed? I can’t believe I found out about it just now. With a title like Goddamn, it is pretty hard to search for. It was difficult just to get a cover image. Google image search “Goddamn anime” and you get some... weird stuff.